My new German friends have recently been asking about Filipino dishes. 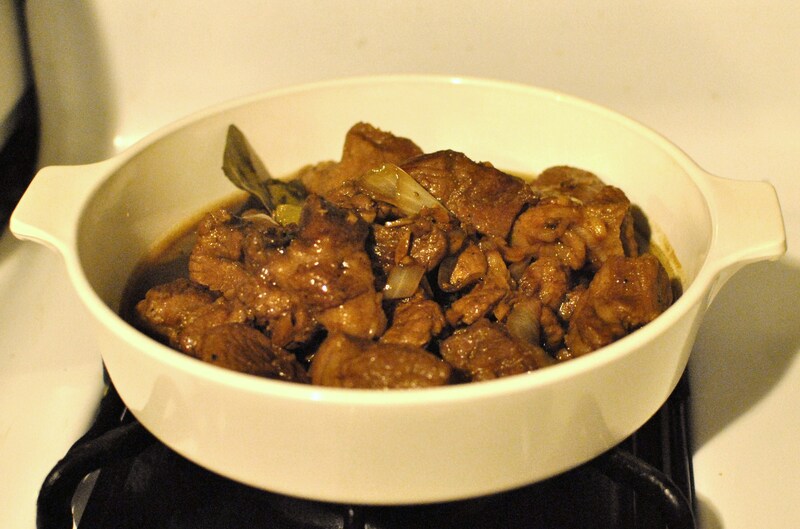 Well, Adobo seems to be the favorite amongst most Westerners. So, this one is for you all, meine Deutsch freunde! First, you’ll want to start with your favorite meat. It really doesn’t matter too much whether it’s chicken, pork, beef… heck, I’ve even tried lamb. 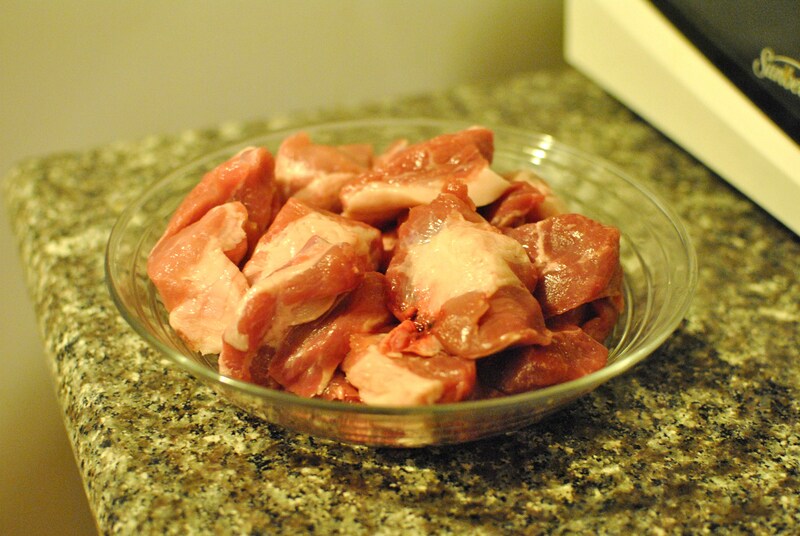 1 pound (or more) of your favorite meat. I’m feeling hungry for pork, so let’s go with that. 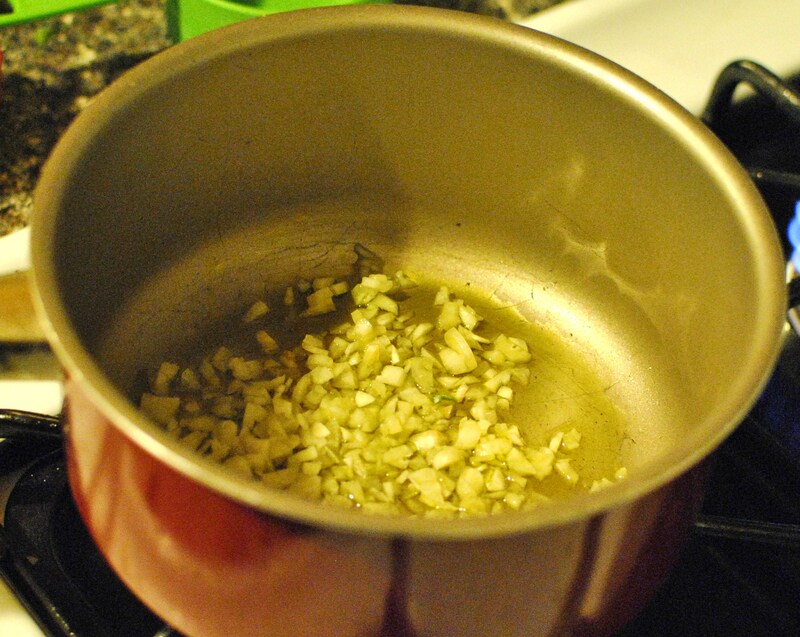 Next, we’ll want to fry up some chopped garlic in extra virgin olive oil on medium heat. After a couple of minutes, we’ll go ahead and add the pork. Turn up the heat to high and fry the pork for 5 minutes. 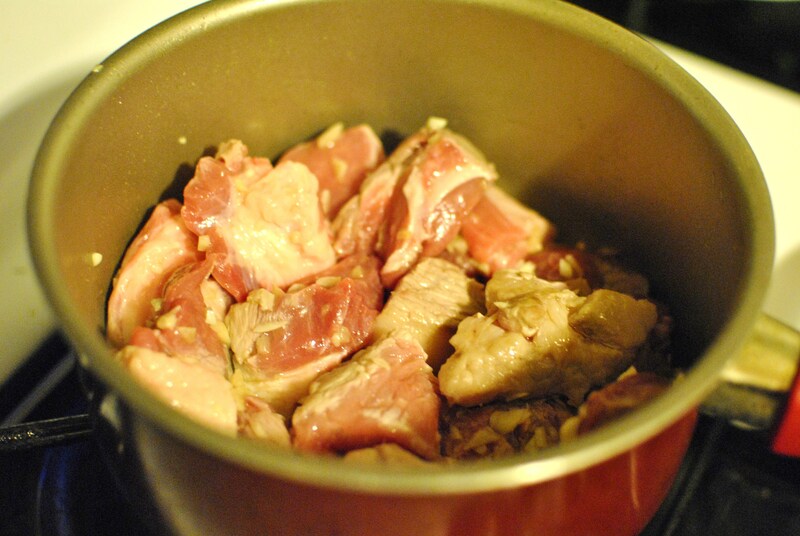 Mix it well so that the chopped garlic covers the pork cutlets and infuses it with flavor. Now, add about a half a cup of vinegar and soy sauce. Also toss in some black pepper and Bay Leaves. 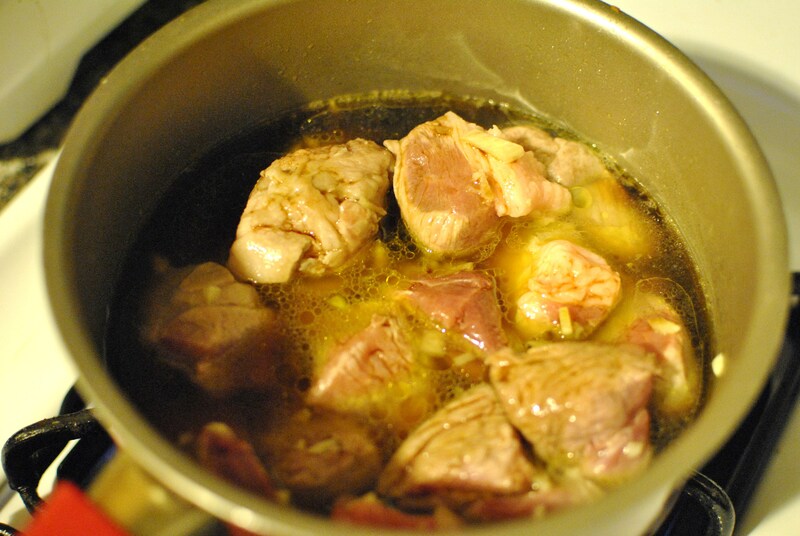 Do NOT stir for about 10 minutes to allow the mixture to cook into the meat. After 10 minutes, stir the mixture and continue cooking for another 10 minutes on medium heat. Once the sauce is a thin gravy-like and dribbles off the spoon, you may add some chopped onions. Cook on high for about 2 minutes. Jawohl! You’re done! Serve with some sticky white rice!